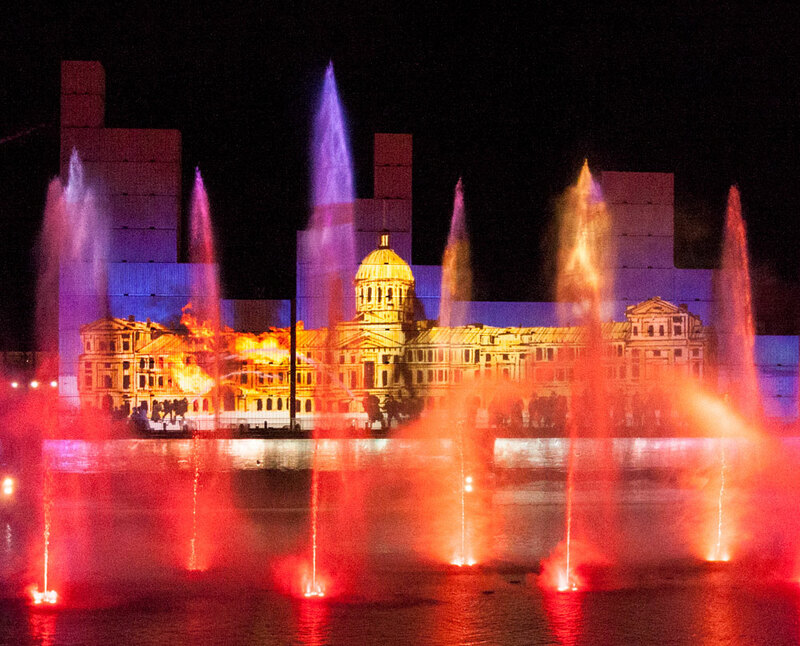 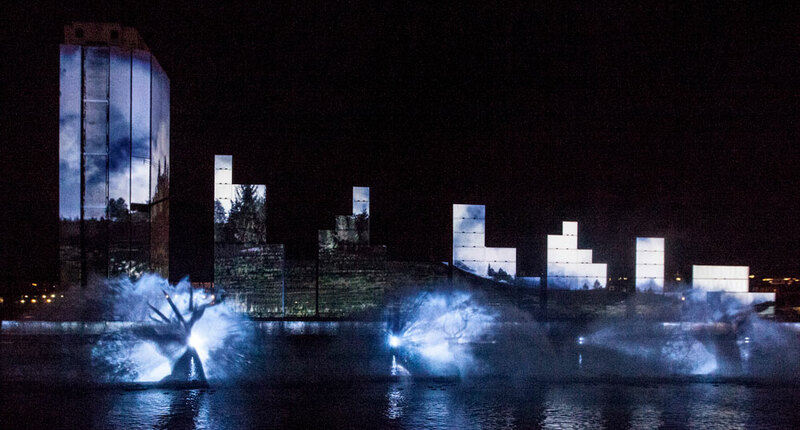 Montréal Avudo was a spectacular 30 minute show that came to life with enormous projections inspired by the city’s history and paid tribute to the St. Lawrence River. 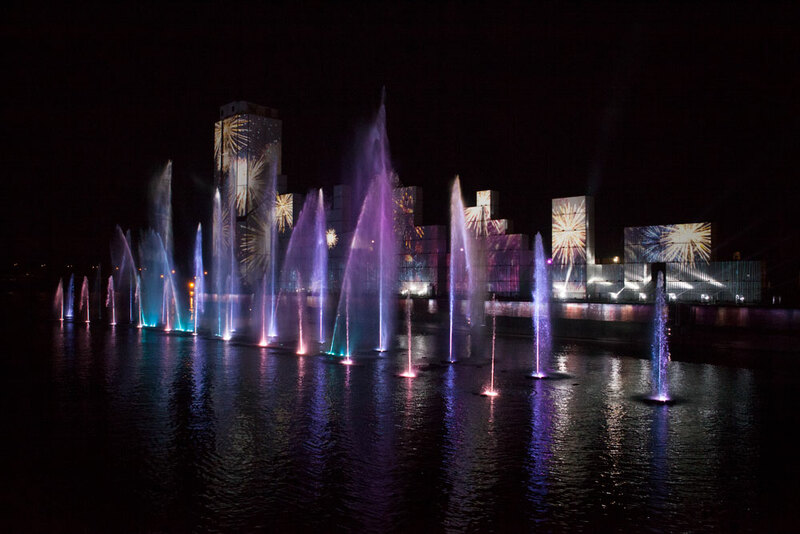 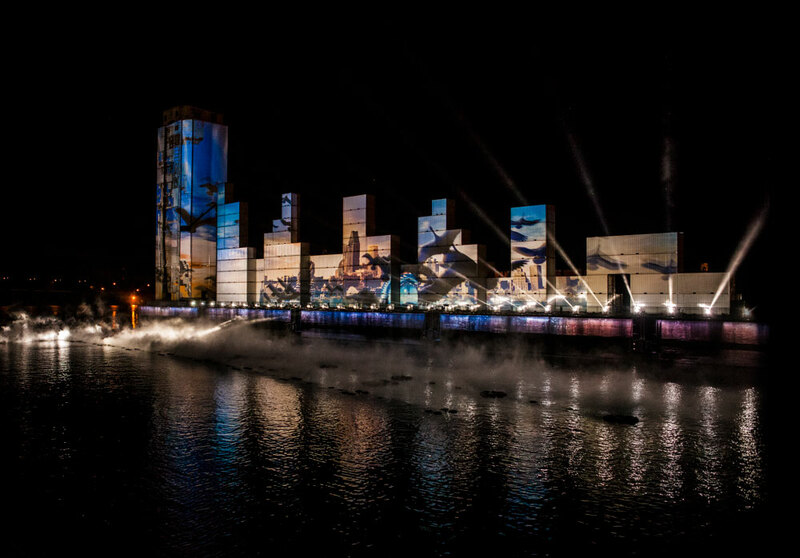 The images and scenes were projected onto rippling walls of water and over other architectural installations from May 17 to September 2, 2017. 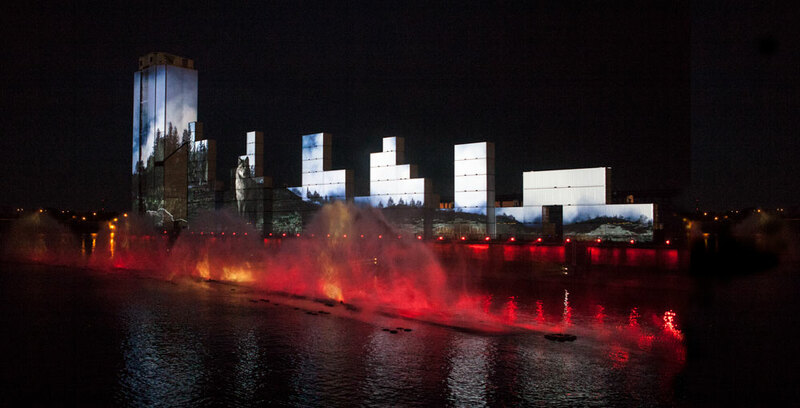 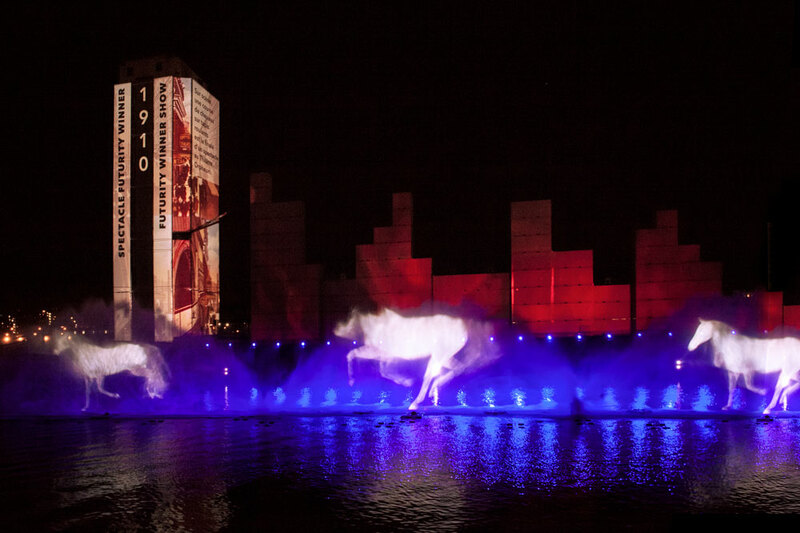 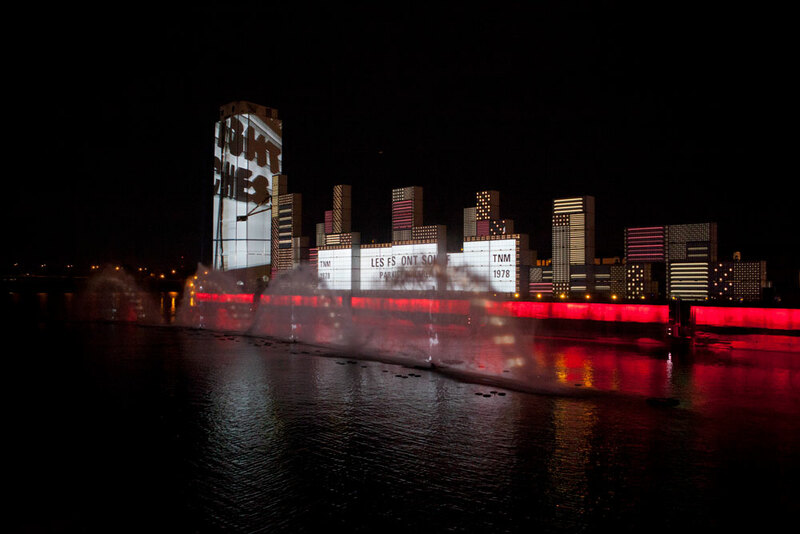 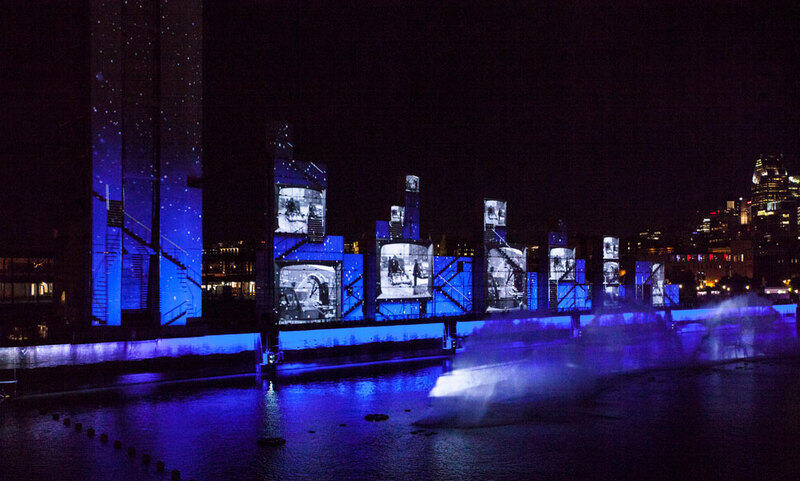 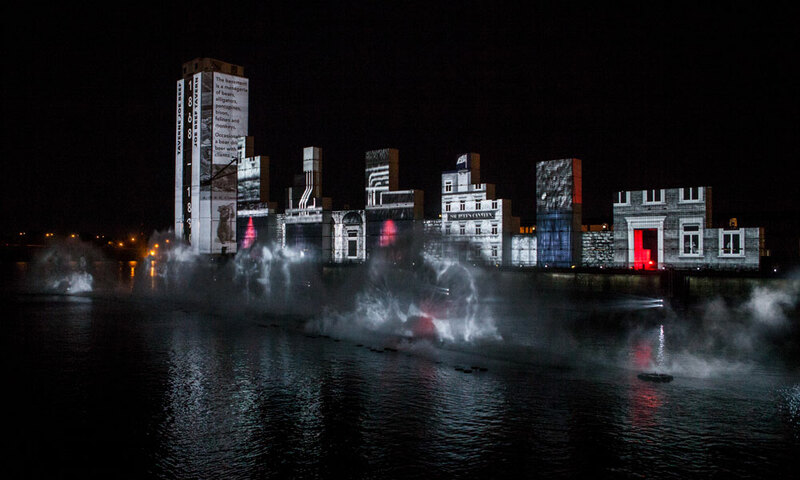 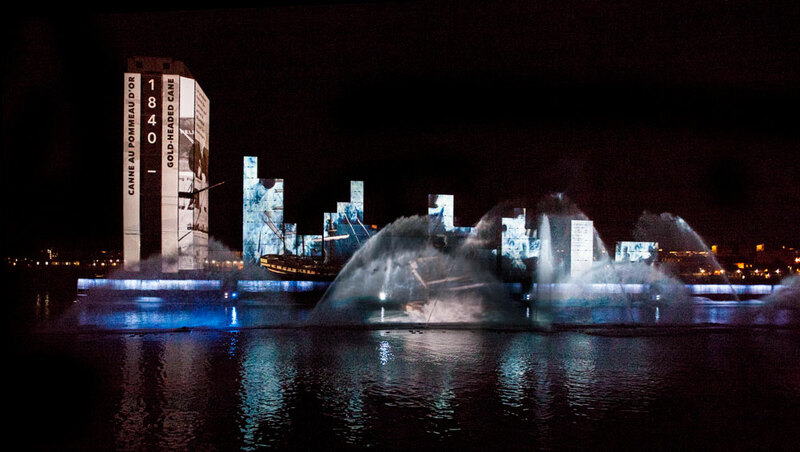 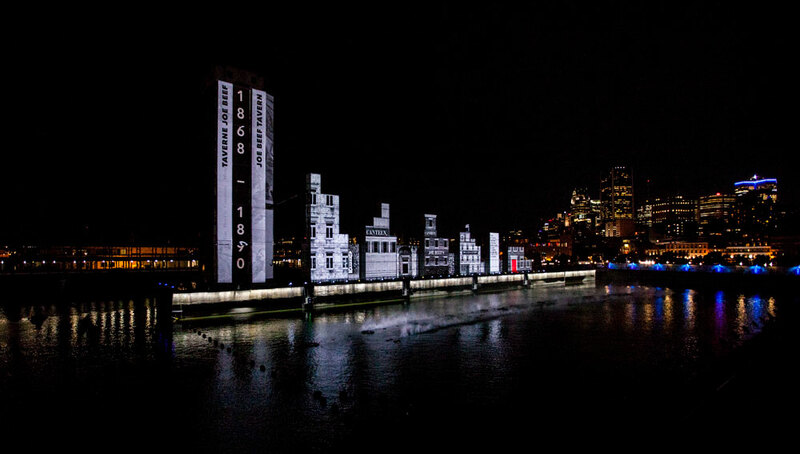 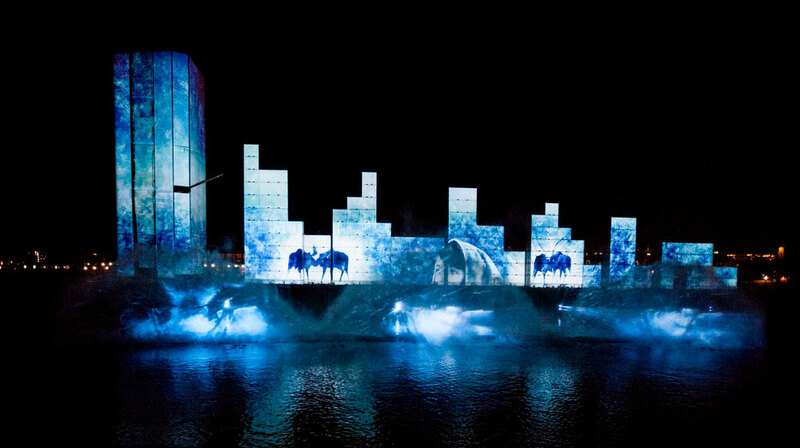 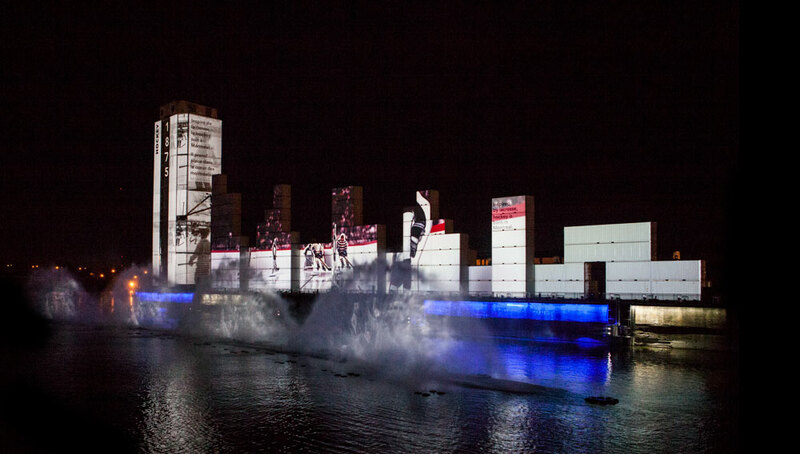 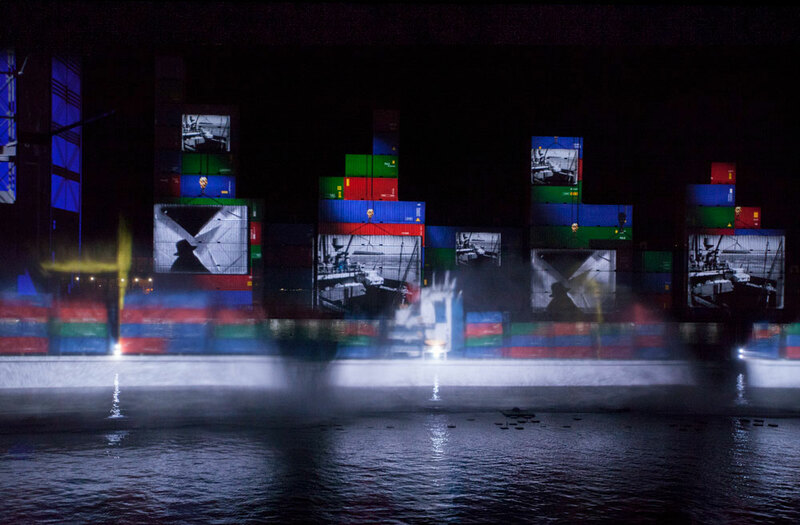 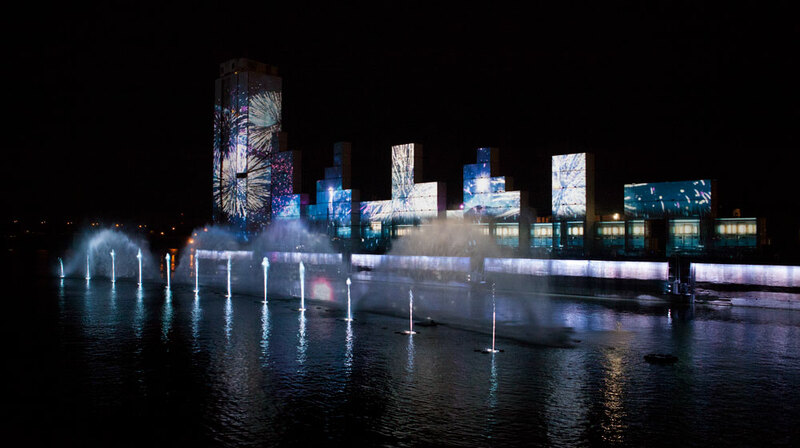 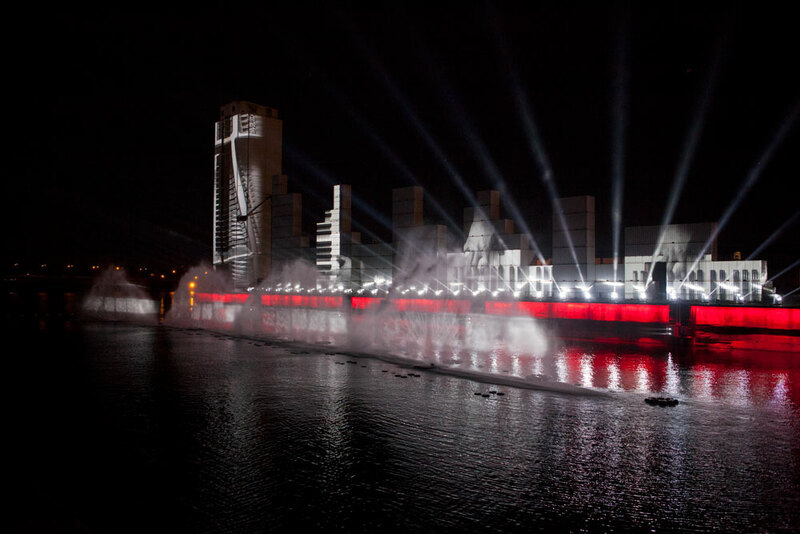 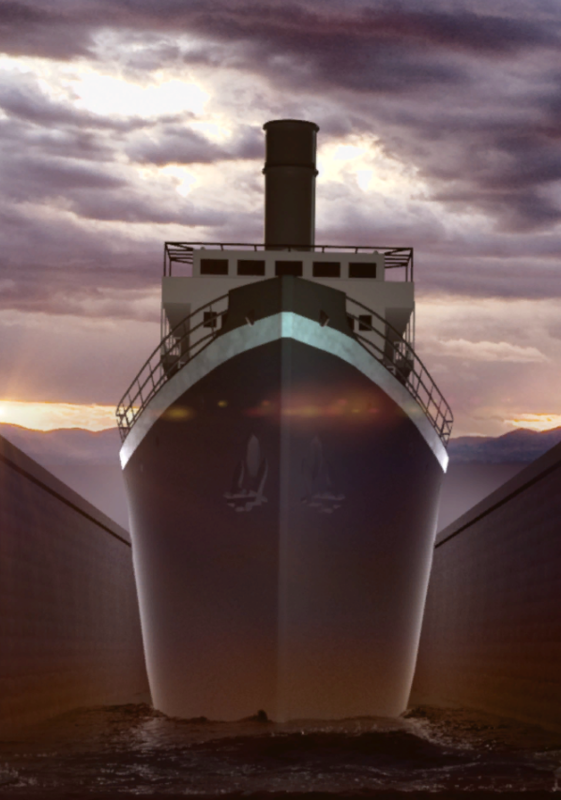 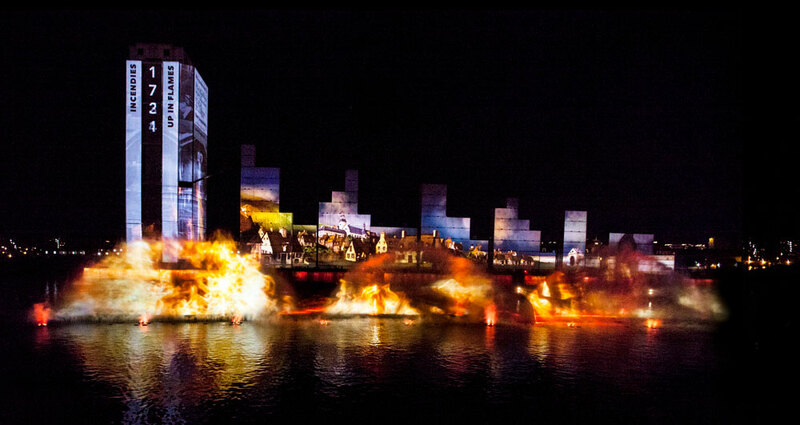 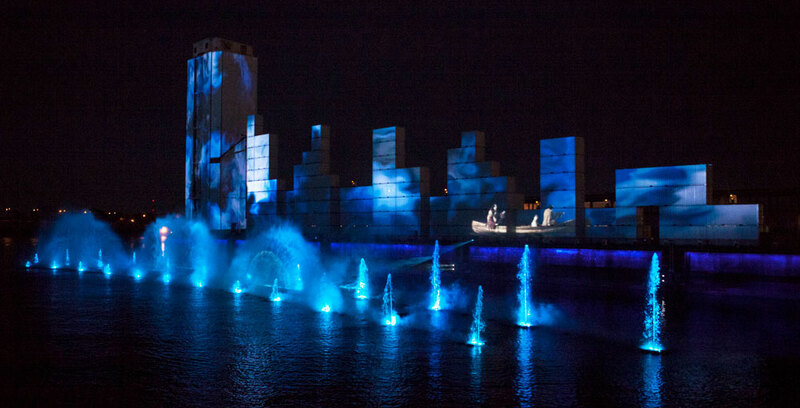 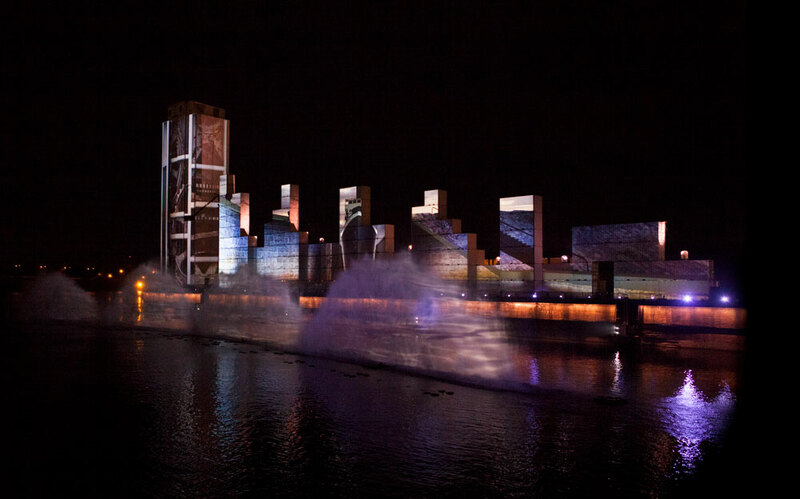 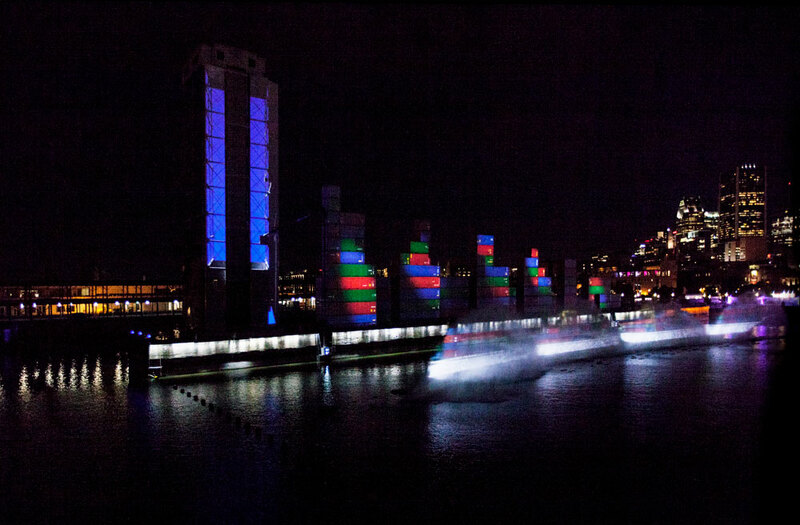 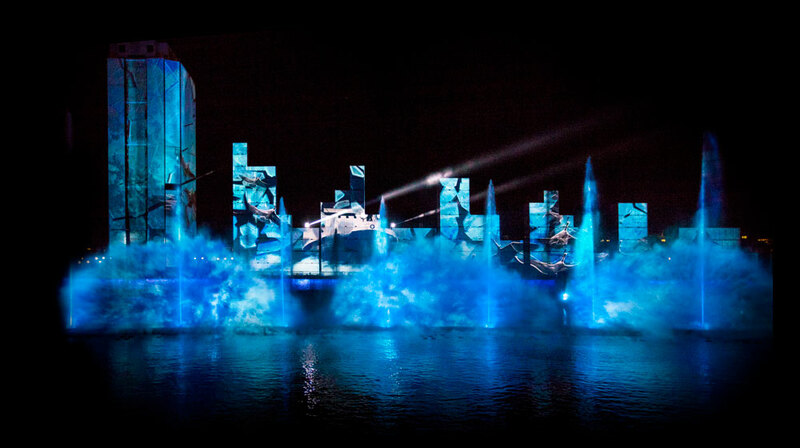 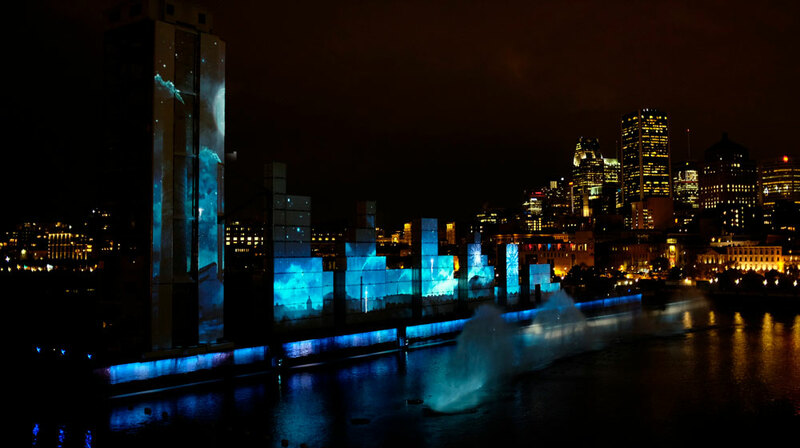 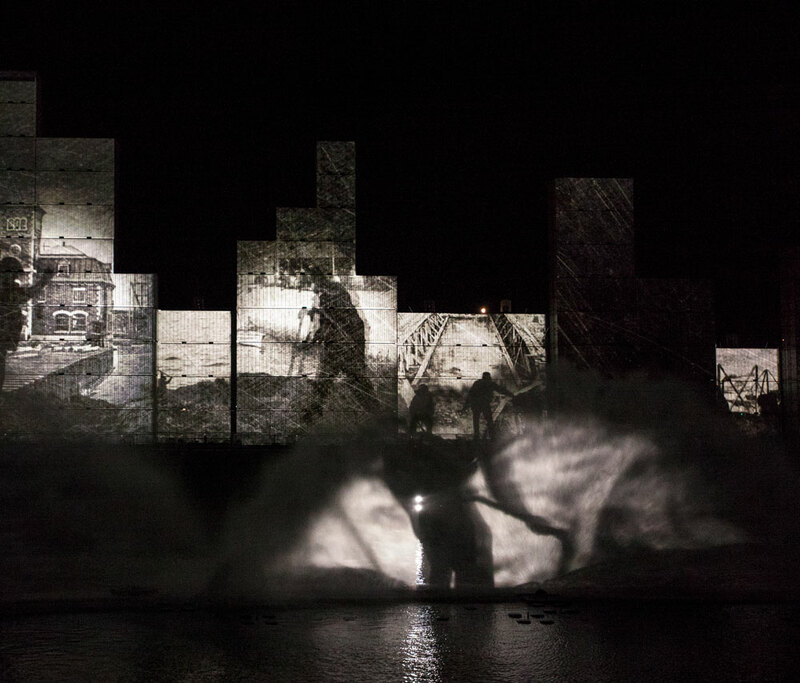 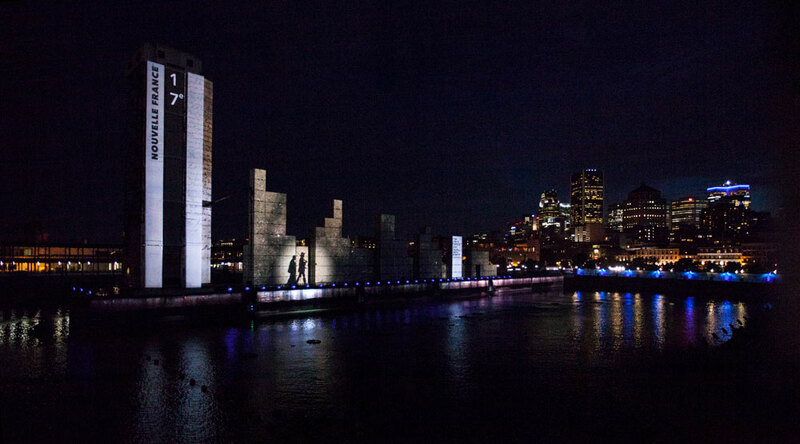 This poetic multimedia performance, was created uniquely for Montréal’s 375th and was presented in the Old Port of Montréal.